Physics provides the most fundamental understanding of the natural world and of technological achievements. 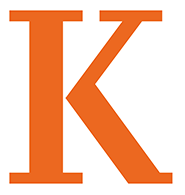 The physics program at Kalamazoo College is designed to integrate physics into the liberal arts curriculum, as well as to provide the necessary skills to pursue graduate study in physics and applied science, to enter engineering programs either through the 3/2 program or graduate study, to become a high school physics teacher, or to enter into other activities which require technical and mathematical skills. In addition to course work the program provides opportunities for research projects on and off campus, and encourages participation in the Kalamazoo College study abroad program. Kalamazoo College Physics Department in the news. A summary article of Dr. Katheryn Rajnak's work with trivalent actinide ions.